Textile Makerspace meets in the 2nd floor Las Trampas Room at Walnut Creek Library. Handmade @ the Library meets in the Oak View Room (2nd Floor). For special accommodations, please contact the library with 72 hours notice. Drop-in Sewing Workshop SAT NOV 10 • 2:00-4:45 pm Join us to complete the projects you began in our Thursday sewing workshops, or just work on your own sewing projects in the company of others! We provide access to sewing machines, a serger, basic sewing tools, and scrap fabrics. Knitting, Crochet, Needlepoint, Cross stitch etc. TUES NOV 13 • 5:00-7:00 pm Join our popular Textile and Fiber Art drop-in group. Learn how to knit, crochet, needlepoint, or cross stitch, get your questions answered, or just bring in your current project and enjoy spending time with fellow fiber lovers! Optional projects may also be provided based on group interest. 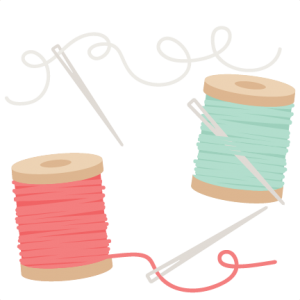 Drop-in Sewing Workshop SAT DEC 8 • 2:00-4:45 pm Join us to complete the projects you began in our Thursday sewing workshops, or just work on your own sewing projects in the company of others! We provide access to sewing machines, a serger, basic sewing tools, and scrap fabrics. Knitting, Crochet, Needlepoint, Cross stitch etc. TUES DEC 11 • 5:00-7:00 pm Join our popular Textile and Fiber Art drop-in group. Learn how to knit, crochet, needlepoint, or cross stitch, get your questions answered, or just bring in your current project and enjoy spending time with fellow fiber lovers! Optional projects may also be provided based on group interest.